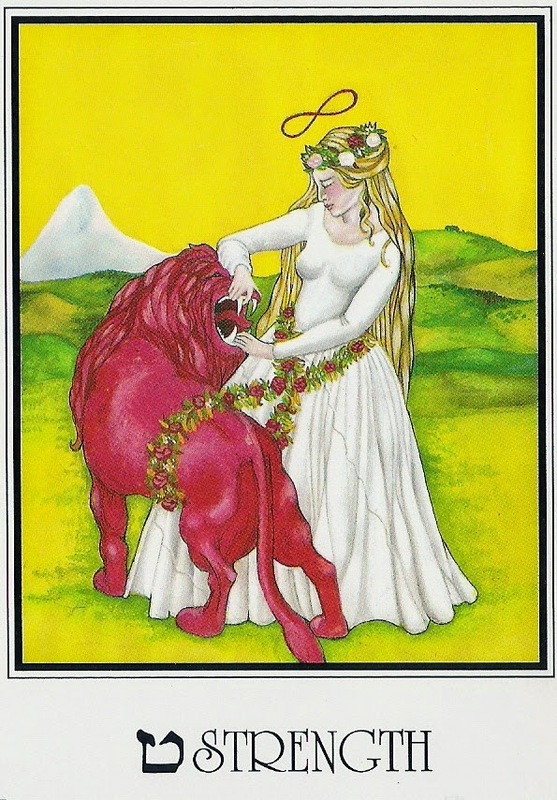 The Strength card Under a golden sky, a woman gently pats a lion on its forehead and lower jaw. The woman gazes down at the lion with a peaceful smile on her face and appears to be successfully taming this wild beast. The fact that Strength is represented by a woman indicates that this card is not focused on pure physical strength. She has the infinity symbol above her head, the same symbol seen in the Magician. Her white robe is that of the innocent Fool, indicating a purity of spirit.